Henry A. “Hen” Wyrick, age 82 of Troutville, died Wednesday, April 10, 2019. Henry was born in Giles County December 15, 1936 and was the son of the late Minister A. and Bertha French Wyrick. He lived in Botetourt County all of his life. 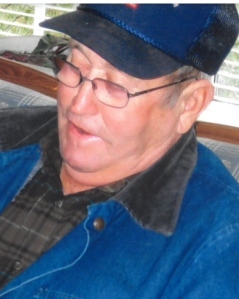 Henry was a welder for Norfolk and Western/Norfolk and Southern Railroad and retired after 39 years of service. He was a real outdoorsman; enjoying fishing, lawn work, gardening, hiking, trout fishing, farming, working with his cows, enjoyed NASCAR and spending time at North Star (thanks Debbie!). In addition to his parents, Henry was preceded in death by his wife Mattie Marie Grubbs Wyrick; brothers: Lynn, Shep, Richard, and Harvey Wyrick. He is survived by his sons and daughters-in-law Jimmy and Anita Wyrick of Daleville, Barry and Charlotte Wyrick of Blue Ridge, and Kenny Wyrick of Roanoke; daughter and son-in-law Bertha Kaye and Steven Ringley of Fincastle; grandchildren: Adam Wyrick, Britt Wyrick, William Ringley, Carmen Eland, Garrett Wyrick, James Goad, and Kayla Goad; many great-grandchildren; brother and sister-in-law Wayne and Diane Wyrick of Cary, North Carolina; best friends: Burhead, Eddie, Dwight, and Bill Mariano; and Henry’s lady friend, Virginia Moran. A celebration of Henry’s life will be 12:00 noon Saturday April 13 at Rader Funeral Home, 630 Roanoke Road Daleville with Reverend Travis Keith officiating. Burial will be at Daleville Cemetery. The family will receive friends at the funeral home Friday, 2-4 & 6-8 pm and two hours prior to the service Saturday beginning at 10:00 am. 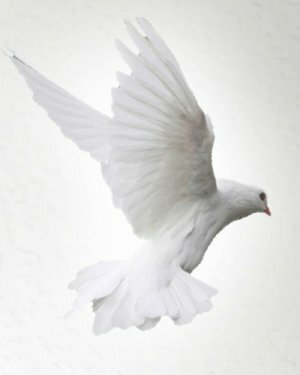 Online condolences may be made to Henry’s family at www.rader-funeralhome.com.